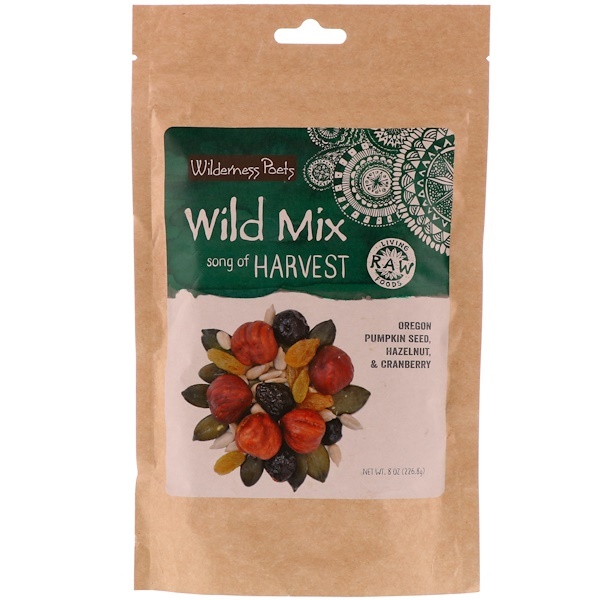 Wilderness Poets Harvest Wild Mix brings you all the bounty of Oregon's lush Willamette Valley in a handful. 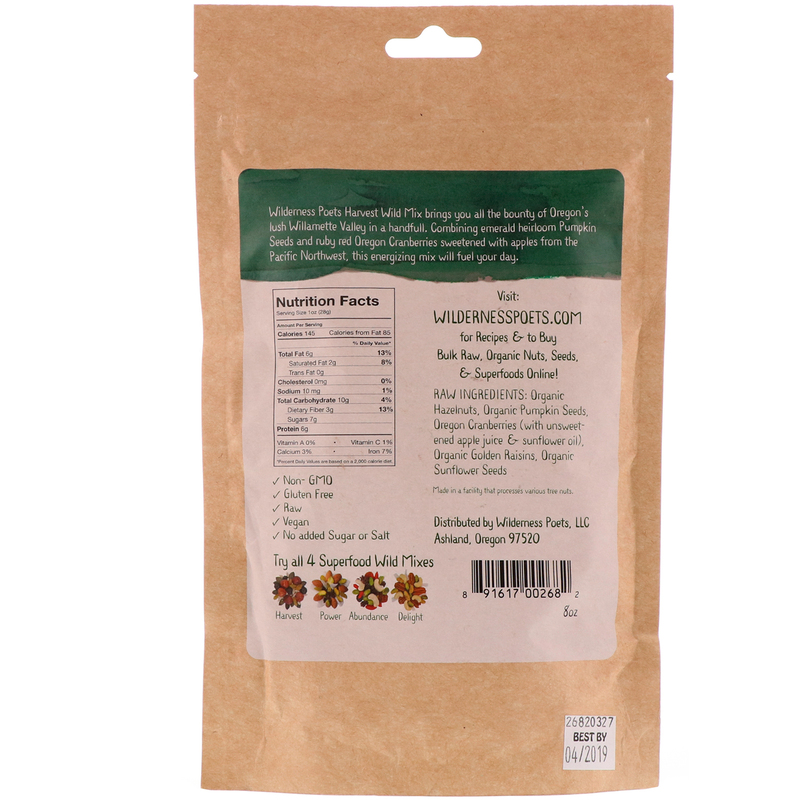 Combining emerald heirloom Pumpkin Seeds and ruby red Oregon Cranberries sweetened with apples from the Pacific Northwest, this energizing mix will fuel your day. Organic hazelnuts, organic pumpkin seeds, Oregon cranberries (with unsweetened apple juice & sunflower oil), organic golden raisins, organic sunflower seeds.